Is a Real Estate/Decoration magazine showcasing hundreds of Ibiza properties for sale, as well as all types of home services on offer. It is also laced with fascinating articles spanning art & culture, physical & emotional wellness, real estate, decoration, advice for foreign residents, and interviews with noteworthy island residents. 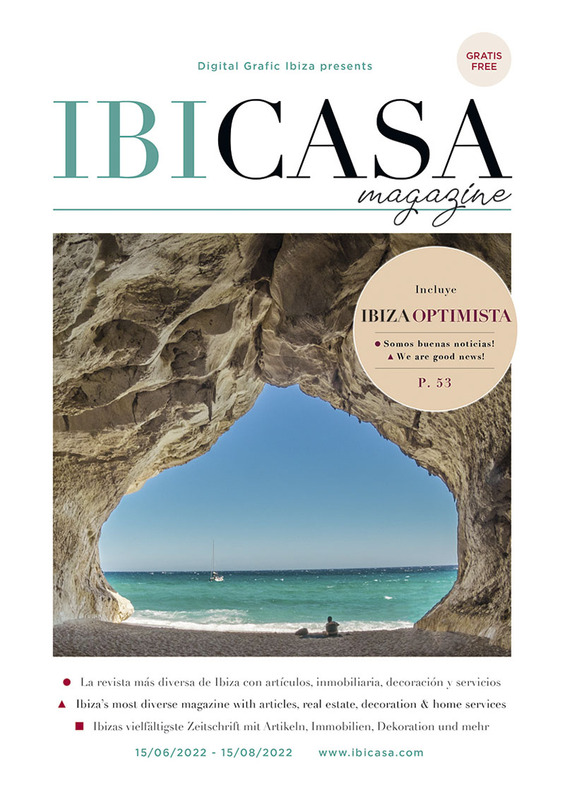 ibiCASA, which is published every 2 months, continues to be one of the only quadrilingual (Spanish, English, German and French) magazines in the world. In 2014 we launched our new App "Ibiza Formentera App" (for Androids, iPhones) + our new website www.IbizaFormenteraTheGuide.com. Both App and website combine all of our publications, IbiCasa magazine, Isla Blanca Ibiza Guide, Ibiza La Guía, Formentera La Guía and De Todo en Ibiza into Ibiza’s most comprehensive free search engines; featuring over 700 Ibiza and Formentera businesses.